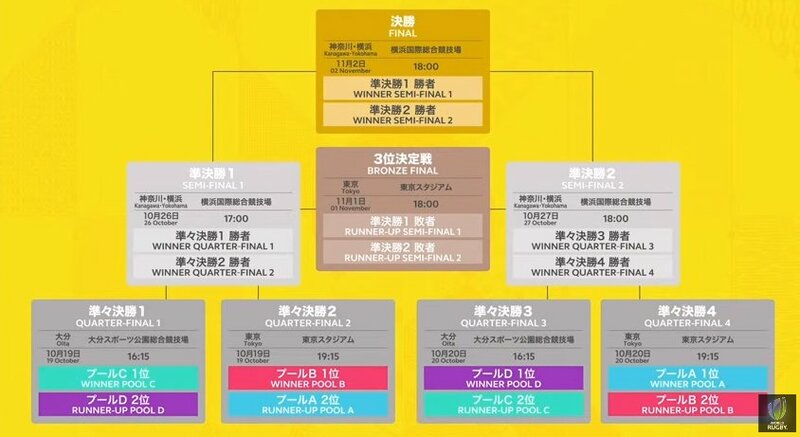 Earlier today World Rugby confirmed the fixtures for the 2019 Rugby World Cup in Japan. With the World Cup Final two years away we have a look at who would make the knock out stages based on their World Rankings. Using the World Rankings Ireland would top group A followed by Scotland and Japan while the two to be confirmed qualifiers would battle it out for 4th place in the Pool. In Pool B the All Blacks would top the group, with South Africa in 2nd place followed by Itlay and the to be confirmed qualifier from Africa and the Repechage winner. And finally, Pool D would see Australia progressing as the top seed with Wales in second with Fiji in 3rd, Georgia and Americas 2 battling out for 4th spot.